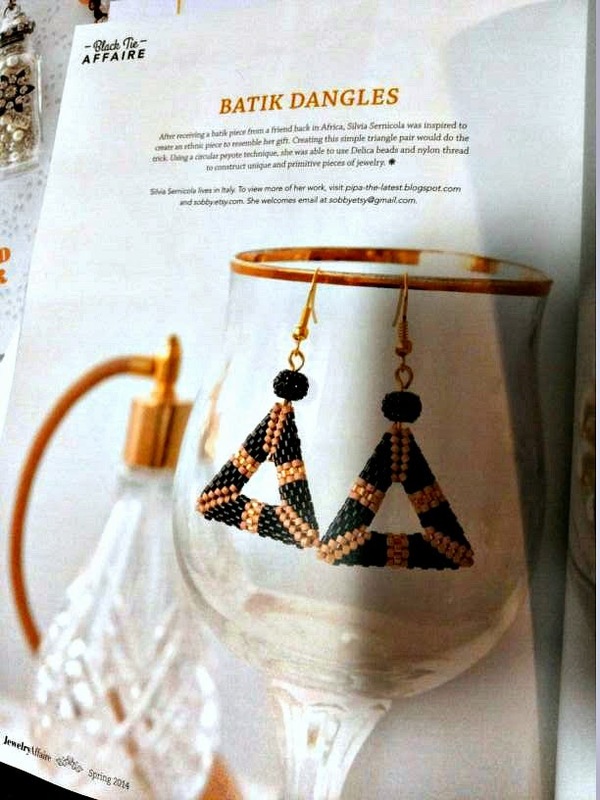 I have been published on Jewelry Affaire for the second time, and also this time I have to wait further before my lovely BF brings me my copy of the magazine. Simple earrings chosen by the editor herself. Can't wait to read the entire magazine, it is so luscious and interesting and hope to be part of it again! Cogratulations!! !I'm sure it's not the last your masterpiece published!!! sono davvero contenta per te!!!! !